Stephen Hawking's final scientific paper has been released, and it deals with one of the central topics in the physicist's 56-year-long career. The work was completed in the days before Hawking's death in March. It tackles the question of whether black holes preserve information on the stuff that falls into them. Some researchers had believed this information was destroyed, but others said that this violated the laws of quantum mechanics. These laws propose that everything in our world can be broken down into information, for example, a string of 1s and 0s. In addition, this information should never disappear, not even if it gets sucked into a black hole. But Hawking, building on the work of Albert Einstein, showed that black holes have a temperature. And because hot objects lose heat into space, black holes must eventually evaporate - disappearing from existence. Black holes themselves are regions in space where the gravity is so strong that nothing that gets pulled in can escape. Writing in the Guardian, one of the study's co-authors, Malcolm Perry, from the University of Cambridge, said: "What Hawking discovered was that in black hole physics, there seemed to be even greater uncertainty than in quantum mechanics." He added: "That might not have mattered - except that black holes are real physical objects. There are huge black holes at the centres of many galaxies." If an object has a temperature, it will also have a property known as entropy. "The entropy is a measure of how many different ways an object can be made from its microscopic ingredients and still look the same," said Prof Perry. 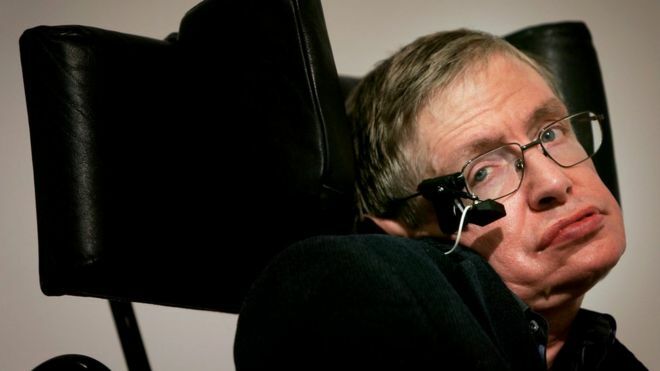 He says that he discussed the paper with Hawking shortly before he died, but wasn't aware the professor was ill.
"It was very difficult for Stephen to communicate and I was put on a loudspeaker to explain where we had got to. When I explained it, he simply produced an enormous smile," Prof Perry explained. The new paper shows mathematically that the entropy of a black hole may be recorded by the particles of light (photons) that surround the black hole's event horizon. The event horizon is a boundary, or point of no return, where escape from the gravitational pull of the black hole becomes impossible - including for light. The patina of light around the black hole has been dubbed "soft hair". "What this paper does is show that 'soft hair' can account for the entropy," said Prof Perry. But he added that : "We don't know that Hawking entropy accounts for everything you could possibly throw at a black hole, so this is really a step along the way." Now Prof Perry and the remaining authors have to find out how the information associated with a black hole's entropy is physically stored in the soft hair, and how that information comes out of a black hole when it evaporates. 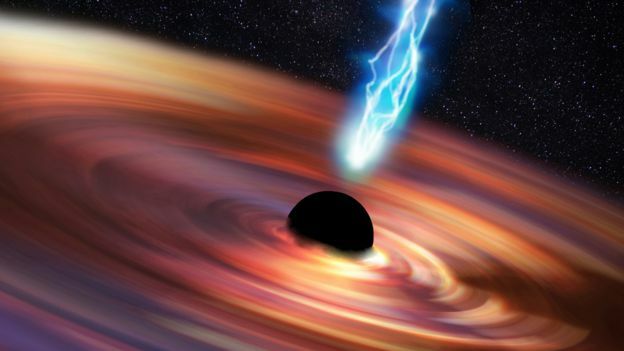 The research builds on previous work published in 2015, which suggested that information might not make it into a black hole, but is held on its boundary. Prof Marika Taylor, a theoretical physicist at the University of Southampton, said: "The authors have to make several non-trivial assumptions so the next steps will be to show that these assumptions are valid." Previously, Prof Hawking had proposed that photons could be emitted from black holes due to quantum fluctuations, a concept known as Hawking radiation. Information from the black hole might be able to escape via this route, but it might be in a chaotic, useless form. Black holes radiate energy known as Hawking radiation, while gradually losing mass. This is due to quantum effects near the edge of the black hole, a region called the event horizon. He predicted the existence of mini-black holes at the time of the Big Bang. These tiny black holes would have been incredibly hot, shedding mass until they vanished - potentially ending their lives in a powerful explosion. In the 70s, Hawking considered whether the particles and light entering a black hole were destroyed if the black hole evaporated. Hawking initially thought this "information" was lost from the Universe. But US physicist Leonard Susskind disagreed. These ideas became known as the information paradox. In 2004, Hawking conceded that the information must be conserved. With the physicist James Hartle, he tried to describe the history of the cosmos in one mathematical expression. But quantum theory shows that the distinctions between space and time are unclear. As a result, the proposal showed there was little point asking what happened before the Big Bang. I'm pretty sure if I was a crippled as that I would be studying medicine rather than astronomy. That might be a hobby to take my mind off how thinking about fuked up I was and things would get worse as time went on. I swear the first time I had to set my 'mates' head up straight like it was on a mantel and it fell over would also be the day I filed for divorce and then mailed them back to their parents or some orphanage. He was studying physics before he developed motor neurone disease and physics was his great passion. It may have been his great passion but it was definately not his great talent as he discovered nothing more than the stupidity of his fawning followers. He was a very good science fiction writer and nothing else. Did he do anything on the flat earth thing? The reason I ask is a person on a ball that is spinning weighs less than a person would on a flat earth as there is no centrifugal forces fighting natural gravity. If you weigh 100kg at sea level on the equator now much would you weight if Mt Everest was on the equator and you on top of it? How much would you weight if you were at sea level at the north-pole where centrifugal forces would be nil. If you weigh 100kg at sea level on the equator now much would you weight if Mt Everest was on the equator and you on top of it? Your weight would drop by about 0.47%, the force of gravity on you would be equivalent to that on a mass of 99.53 Kg at sea level, an effect due solely to your greater distance from the earth's centre of mass, which causes a slightly reduced gravitational force and a slightly increased centrifugal force. How much would you weight if you were at sea level at the north-pole where centrifugal forces would be nil. You'd weigh about 0.53% more at the pole, the force of gravity on you would be equivalent to that on a mass of 100.53 Kg at the equator. That's due to a combination of the polar radius being smaller than the equatorial radius and the absence of centrifugal force. One issue I have with the flat earth thing is the Volvo boat races use the southern oceans to get a shorter time and on a flat earth map the change in distances is not a short one. By showing that is flawed it lets the expanding earth gains some merit so be warned where I'm going with this. Centrifugal force at the equator would take about 0.3% of his weight off. Not enough for what I was thinking.I hate it when that happens, lol. That's okay I have a few other arguments against the flat earth concept. The answer to why there was a revival at all might have a simple solution. The flat earth concept is easily and provably false, nobody with any sense thinks it's flat. That's not an argument worth getting into, anybody who thinks it's flat is probably incapable of understanding the evidence anyway. The Earth’s equatorial diameter is 12756 kilometers. (If we halve the difference in circumference, 26.8530 +/- .0745 ins. Oblateness = 1.0056). This suggests the Earth is closer to a perfect sphere than a bowling ball. Physically this is interesting. It's also, considering the difference between the maximum and minimum elevations--i.e. Mt. Everest and the Mariana's Challenger Deep-- smoother than a bowling ball. For all you 'real' science buffs I thought I would give you a distraction and perhaps A chance to make a reply that is not more more troll than anything else. There are a few more parts to this series but this one all by itself should show that NASA is nothing but an ever expensive animation studio. If NASA is a sham then any science since about 1950 is probably the same snake oil in a different bottle and new label. I get more troll posts than I care for, I'm going to try a few things to see what trolls hate. So far taking their post and making a thread seems to be pretty effective, perhaps that and an examination on the topic trolled would be worth the little extra effort that would take. The collective can't back off on it's own or they would have by now, time to show them how easy it is to push you around and you can do nothing that is not trollish at best. Even a polished one, would that be the earth with water? I've heard the ocean dips where the water is the deepest rather than being flat. You ever come across that? The trench on mars and the Grand Canyon could have been created by the same forces and water erosion is not available on mars. Water erosion used to be available on Mars. 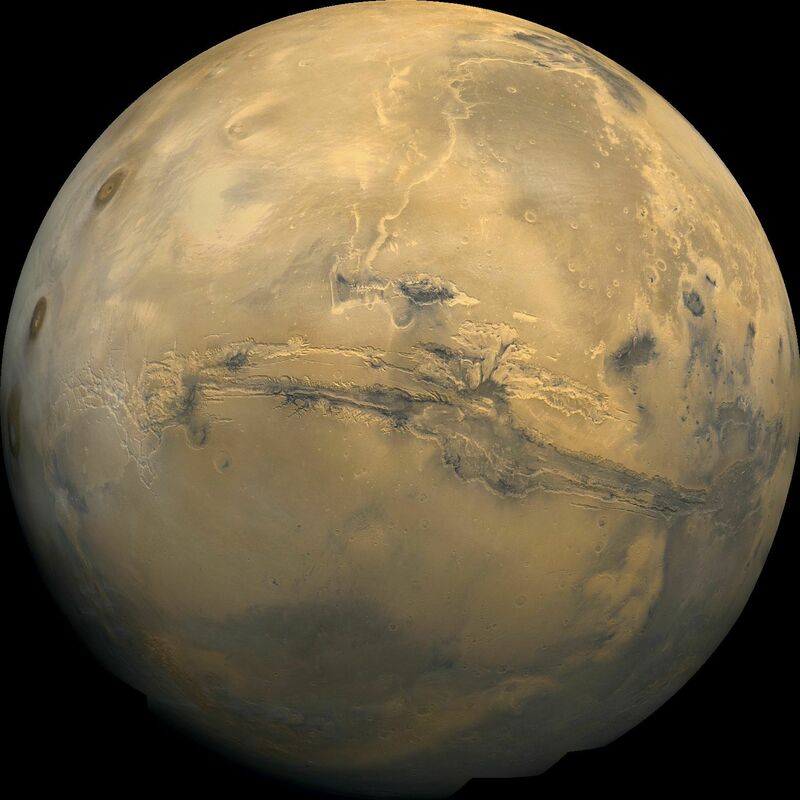 That's what created the Valles Marineris, the Solar System's largest canyon. I've watched a few of the longer vids and I wasn't impressed with any of the points even if some were new such as a spotting scope on shore and a big boat out on the water. Something you and DB mentioned has some interesting aspects. Let me do a couple of posts so that is something better than fragmented thoughts. IMO they are both made by the same process. To expand on that I would have to post some pics from google-earth and the ocean with the water removed. I'll know how to do that by the end of the next few posts. Right now I'm going with the end of the crack has to have an elevation that is lower than any part of the canyon. I'll try to find some elevations. Both were created by running water, such as the Black Sea was a trench.canyon before it became a lake that conforms to an existing landscape rather than carving it all through wave action. If I use the term 'trench' to mean the middle is deeper than both ends and a 'canyon' means one end is the lowest point. 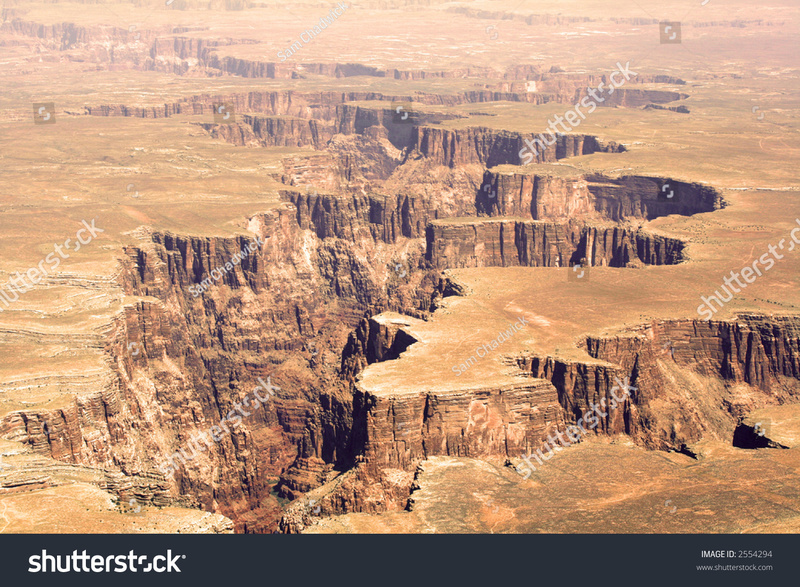 I'm willing to say the Grand Canyon is a 'canyon' but at one time it held water until it escaped at one end and then water erosion would do the rest. Snake River Canyon crosses a mountain range and water erosion cannot do that unless the ridge of hard rock is cracked first, then the Snake River of today is a lot easier to explain. As I mentioned to Dex, let me finish my post to DB as some of that will apply to this post. If you applied the same movements to the bowling ball as the earth is going through how would the path go if there was no gutter. I'm not sure we even 'really' know if out own galaxy is imploding into a lump of coal or exploding like a sparkler considering the arm we are on is in the same position it was when the solar system gained a sun that glowed yellow hot 4B years ago, more or less. 40k is 0.313% of being out of round. If it was the consistency of molten glass about to be blown into a ball the 3.5B years is spins (with the rod being move so out gravity has zero effect) the ball is not getting a larger diameter by spinning alone and the spin does allow for the equator to be the longer distance. The oldest crust is about 3B years old and if I was to post a vid of the lake of fire in Hawaii earlier this year come parts would have a proto crust floating and bordered by a bright red ring. The ring would be rising magma and if it is rising in all the red zoned it descends someplace not visible and that is under the proto crust, pick the middle and when the crust does break up you might be able to tell where that is. The volcano was pretty much in the center of the 'ring of fire' and if all of that is where magma is rising then it has to sink someplace else. In the center of the ring all the out-flowing magma would meet and create a HP zone that should cause the crust to bulge and it would if it was under a continent rather than oceanic crust. The thinner crust allowed a hole to be poked through, the current volcano is 1 hole, as time is wound back the chain of mountains it belongs to would also have been at the center of the lake of fire. 200M years of movement is available using the age of that area and BC could be use to trace the rift back to when it was at the AB/BC border which is when the cracks first appeared and today all of them have become 40,000 miles long, almost all if it underwater. Why I'm picking on you has to do with you having an opinion on the electric universe and Mars and the Moon are historically as old as the solar system. One of the big complaints the expanding earth theory has explaining is 'why would it start expanding after it had a crust rather than do that when it was still only liquid ?'. So far I have used the arrival of the water that is on here arriving as a snowstorm as ending up acting as a blanket and the magma heating up finally broke the crust due to hotter mass needing more volume even when no actual mass is gained. I'm trying to fit another part into the formula. The moon at one time also had a liquid metal core and 4BYA it was still in the center of the moon and the earth was 5/8 the dia it is today and lava was all there was and the moon was close enough to cause a tidal bulge that can be 100ft and smaller as the moon moved away over time. To get close enough to do that also means the earth would have some effect on the moon, many times more if it was many times bigger. Tidal lock means the core moved at some point so it was liquid and in a slow mo phase a collision was avoided when the metal core broke through the moon's crust as a volcano that emptied the whole core and the hot metal went through space so it was as cols as a comet when it landed so that 'river of cold metal' might be where the cracks started as it may have cooled the rock but metal on earth is part of the core so that is where it would have ended up and that extra mass is enough that cracks to appeared if a crust was there before and some of it survived. Holes on the moon would mostly sink-holes as material fell into the void created by a missing core. Cold metal into material that is 2x as dense as cold granite and way in the red zone as far as temp goes is only a smooth transition under lots and lots of pressure. MHz;2669956]If you applied the same movements to the bowling ball as the earth is going through how would the path go if there was no gutter. The orbit would be elliptical and I know of no confirmed circular planetary orbits. You,ve mentioned 3.5 billion years and 4 billion years as reliable planetary ages when in fact they are the crudest unreliable pegs anyone can mention, speculation of the basest type cooked up a century ago to support the Darwinian nuttyness. I have more than an opinion about the plasma nature of the universe MHZ. You may be excited to learn that you also are an electrical organism and entirely dependant on carrying a proper charge in every cell of your body. There is not a scrap of verifiable information about the age of any heavenly body excepting those having been witnessed in birth. Only lightning strikes at 90 degrees. Earth is pock marked the same as the Moon we just have lots of obscuring shrubery and oceans hiding the craters. Secret History of Twin Planet Earth by Errol Hawkins, read that some time, it,s a facinating reconstruction of this planetary systems history. Many different orbital arrangements of this system are discussed. With the earth a molten ball with a surface temp of 3,000F and being surrounded by ice at the temp of -200F I'm going to admit that there will be more activity going on that the rising air on mars that is causing a global dust storm that lasted a full year last time. When the crust was liquid to traces and when a proto crust was there and if the bolts were similar in size the largest would be the oldest as the crust was the thinnest and the smallest are when the crust was thicket and less damage done. If the moon had a proto atmosphere then the discharges would be similar and when the metal core went to the earth the lighter ball moving at the same speed and direction was enough that it started putting distance between themselves, at some point the tidal lock will be so small it should start rotating if the forces are there. To be continued so don't rush a reply just yet. Without every planet having a similar one that we would be able to see I will leave this theory as a personal wish to find a place, close by, that has to be saner than this world and I can get there by leaving this world. No, that's not how it works, most impacts regardless of their angle of incidence will produce circular craters, only the very shallowest of angles, on the order of a few degrees, will produce elongated craters. At the point of impact all the kinetic energy contained in the impactor is suddenly released, in effect it explodes and material gets thrown around about equally in all directions. That overwhelms any effects due to the angle of impact. I'm willing to go with 90deg is the most common hit based in the motions involved only something at that angle would hit. Anything else would miss and have it's path changed so the next time it came by it hit. That being said, size does matter then, on the smaller ones especially, why is there no visible debris in the bottom of the hole. I have watch a lot of moon vids, only one covered out of round impacts and they are rare to say the least. A few rocks have left roll marks and one that rolled out of a crater must have been on the move horizontally when it landed and rolled to a stop a little ways away. Short topic as that is all I have seen. How many of the lakes in Canada's north are impact marks? That is also some of the hardest and oldest rock on the planet to the dents were made when it was 'putty'. Some big ones are in Quebec and they were made by something big and slow or small and fast moving. It's been awhile since I watched the Great Lake drained vid but they are oblong and very old so would they all be from a single impact where the incoming object broke apart? Pop question. If the earth has a proto crust that is not cracked and 1,000 cubic miles or molten metal is sprinkled over the whole crust and gravity pulls it through the crust so it is in the molten part of the earth. Has the earth expanded as far as it is ever going to as you cannot compress a liquid of does it take up more area than that once it is at the core and it has not gained mass but it is hotter which means it should take up more volume as something always expands as it gets hotter. Pressure also plays a role of some sort that I haven't even considered yet. At what temp does iron turn to a gas? Last edited by MHz; Oct 21st, 2018 at 07:22 PM.. I'm willing to go with 90deg is the most common hit based in the motions involved only something at that angle would hit. A hit can happen at any angle greater than zero and less than or equal to 90 degrees, one at 90 degrees would be rare simply because there are so many other angles possible. Draw a circle and one diameter, then outside the circle sketch a bunch of lines parallel to the diameter that intersect the circle. All of those lines (in principle their number is infinite) are possible trajectories for incoming meteorites, and only one them impacts at 90 degrees. The Great Lakes aren't impact craters. I tend to see them as sinkholes, Hudson Bay and the GOM are also the same and eventually something like the Red Sea will connect them.